Built 1975 by Dravo Corp., Neville Island, PA. Copyright Photo by Capt. Billy Smith - Thanks, Billy! GM 16-645E7BA diesels, 6200 hp. Falk red. 4.345:1. Kort nozzles. 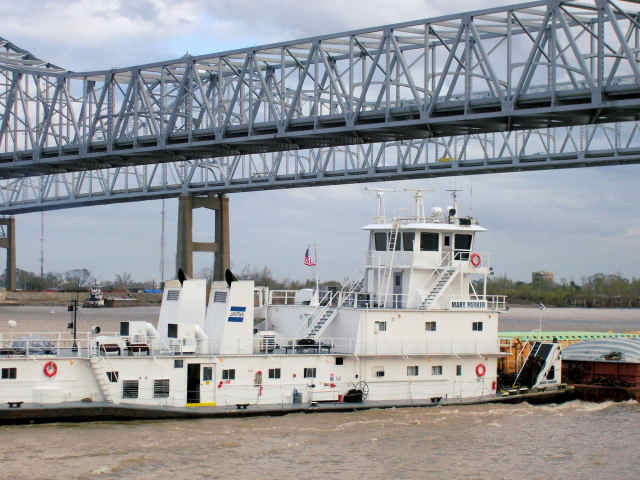 General Intermodal Logistics Corp., Pittsburgh, PA.
renamed Ruth D. Jones 8/1979. Operated by Huffman Towing Co., St. Louis, MO 8/1979-4/1985. Operated by Phoenix Towing Co., St. Louis, MO 4/1985-7/1986. Operated by SCF Transportation, Inc., Greenville, MS 7/1986-2/1994. Leased to Inland River Towing, Inc.,Greenville, MS 2/1994. Leased to Brown Water Towing, Inc., St. Louis, MO 7/1996. 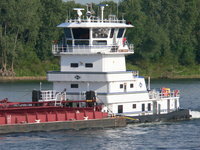 Leased to American Commercial Barge Line, Jeffersonville, IN 5/2000.